Let your guests offer a toast at your romantic occasion with these unique flutes! 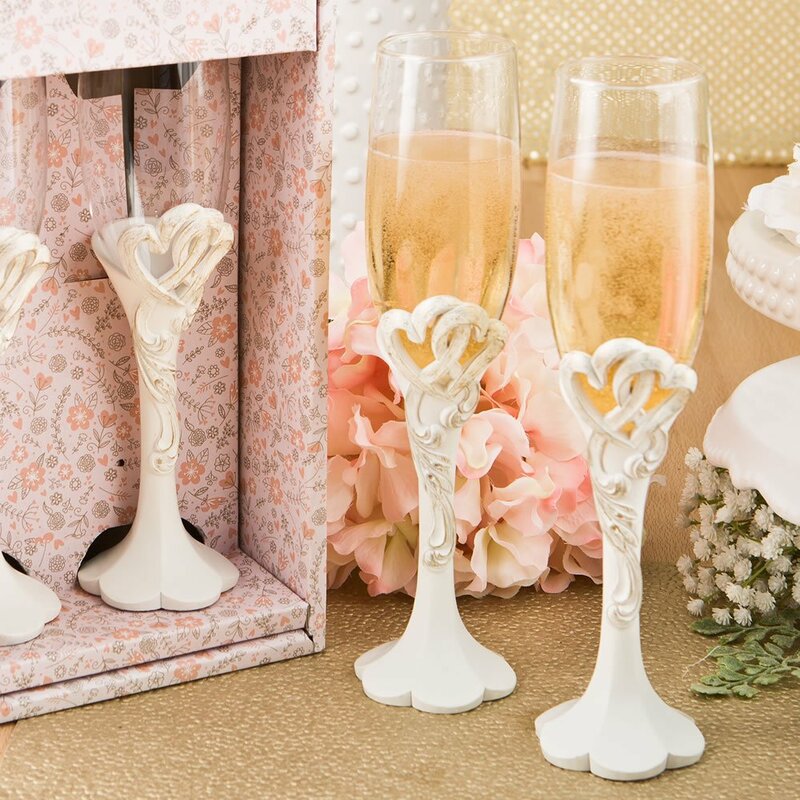 A special toast won't get more romantic than this with our intertwined heart flutes. The 8oz flutes are made from clear glass and are held in a flower shaped poly resin pedestal base. Carved into the top of the base is a raised design featuring two hearts entwined together. The base is hand painted in a vintage antique ivory and then beautifully accentuated with rubbed-in gold leaf accents. After being used to toast your grand occasion, your guests can take the flutes home as a reminder of your special day. A romantic set of flutes to toast a range of special occasions!